When a jacket is too much but a shirt is too little, here's a perfect combo of both. You get a garment-washed 9-oz. 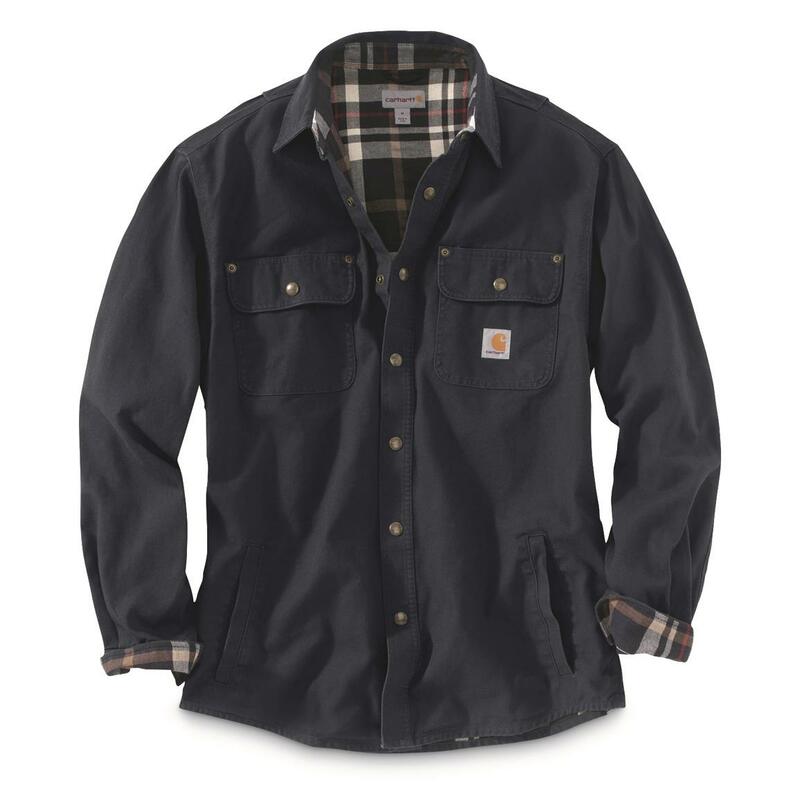 cotton canvas exterior to handle rugged work, but with soft flannel lining for extra warmth. 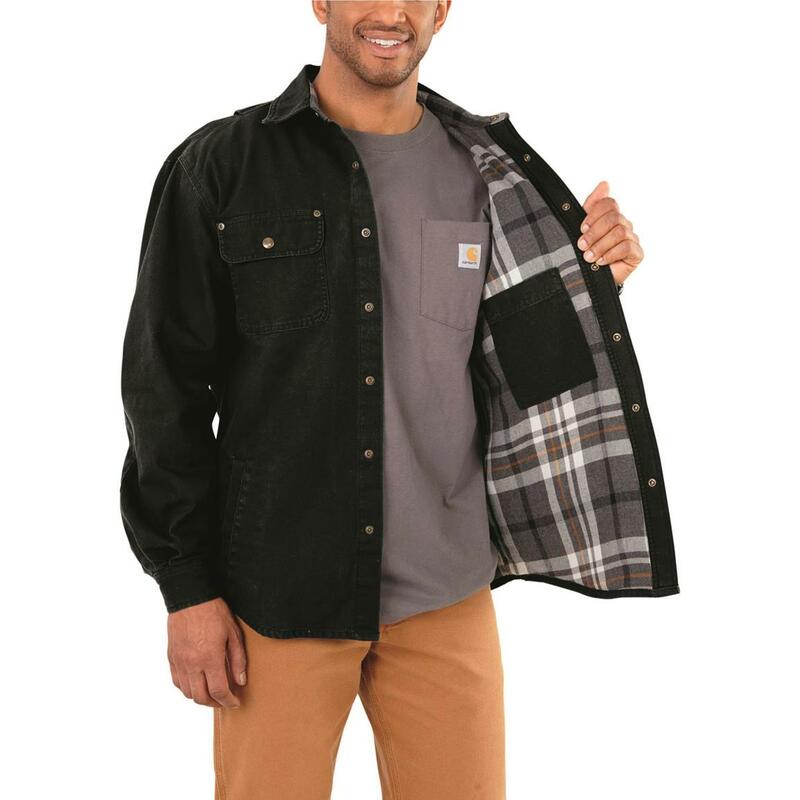 And since the Shirt Jacket has triple-stitched seams for durability and a bi-swing back for easy motion, it's great for jobs, chores…or just cruising around town. 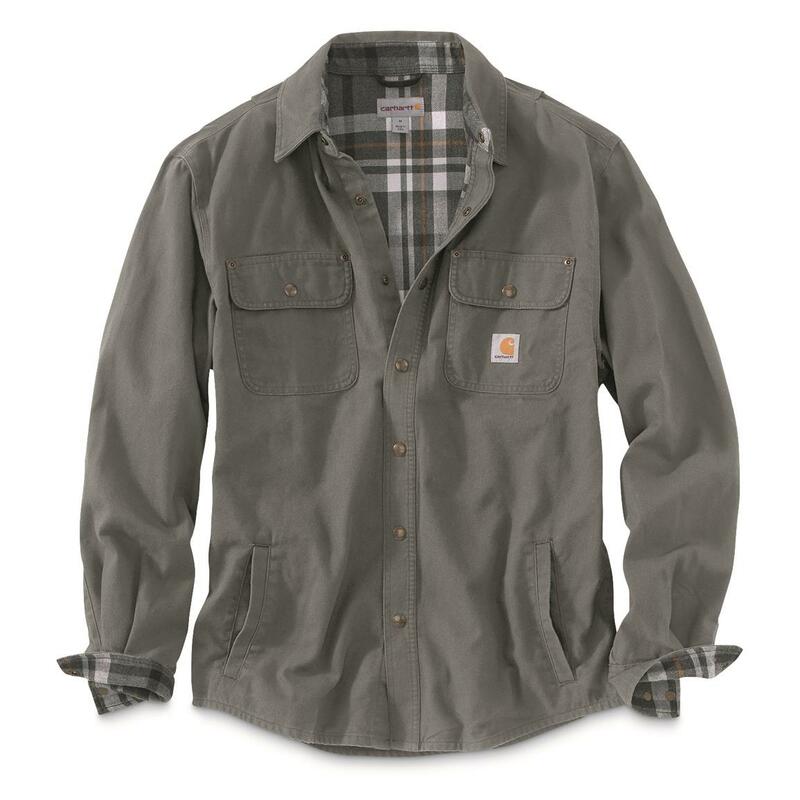 No stiff-as-a-board workwear here…order this Carhartt® Weathered Canvas Shirt Jacket today. 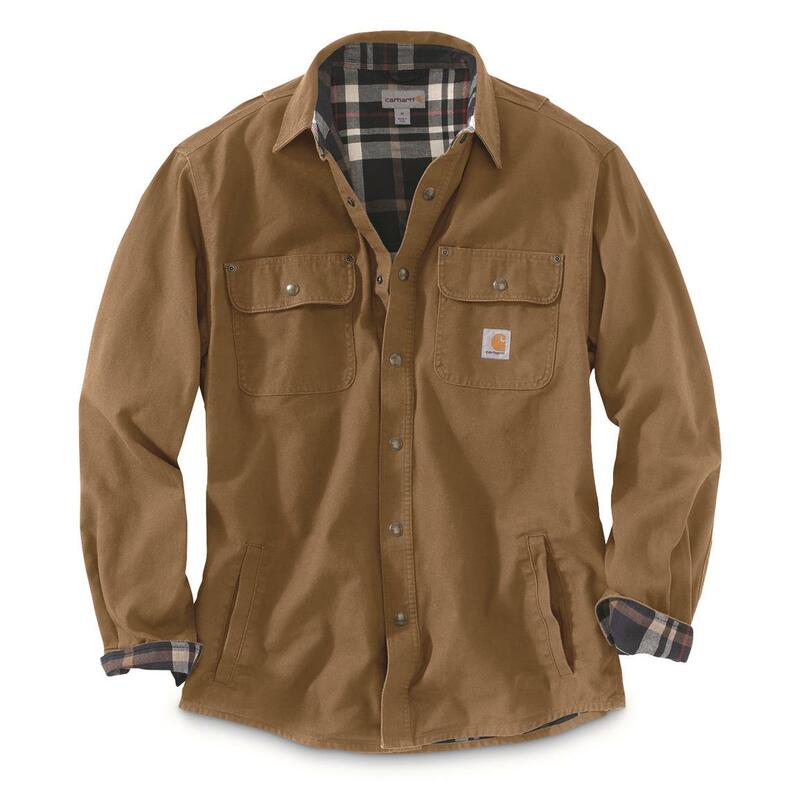 Carhartt Mens Weathered Canvas Shirt Jacket is rated 4.7 out of 5 by 78. Rated 4 out of 5 by Foltzie27 from Great price The shirt jacket is a little lighter than I expected the the quality is good. My wife bought this for me as birthday gift and I just opened it on February 28. The only problem is there is a tear in the collar. Haven’t contacted SG yet but if you read this please send me a response on how we can resolve this problem. 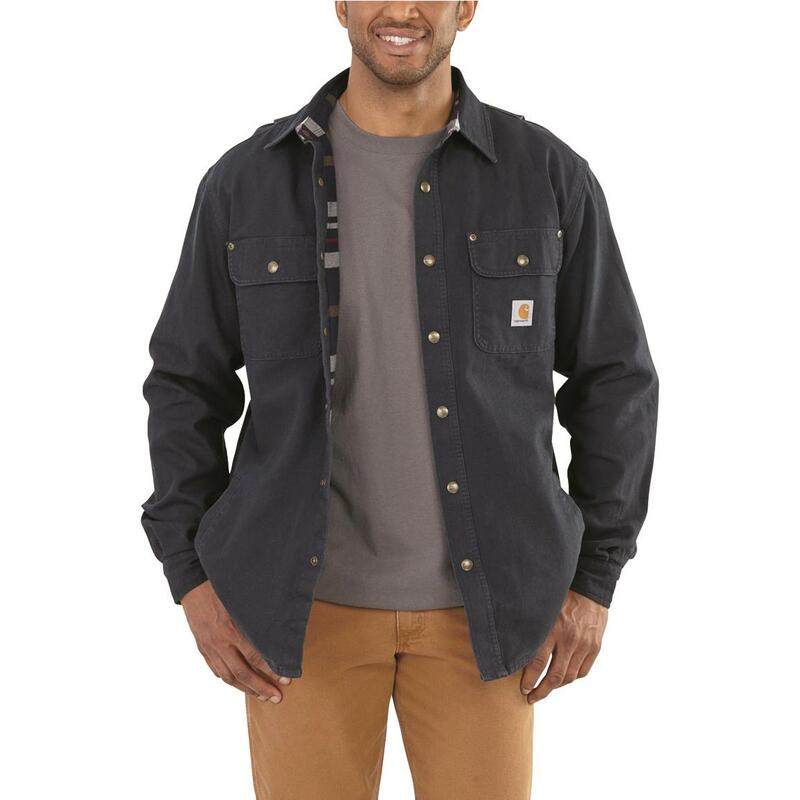 Rated 4 out of 5 by chief from carhartt shirt jacket Correct fit, quality you would expect from Carhartt. It does not have a weathered look yet but with a few washing that should be achieved. Rated 5 out of 5 by Lyle from Great price fast shipping! 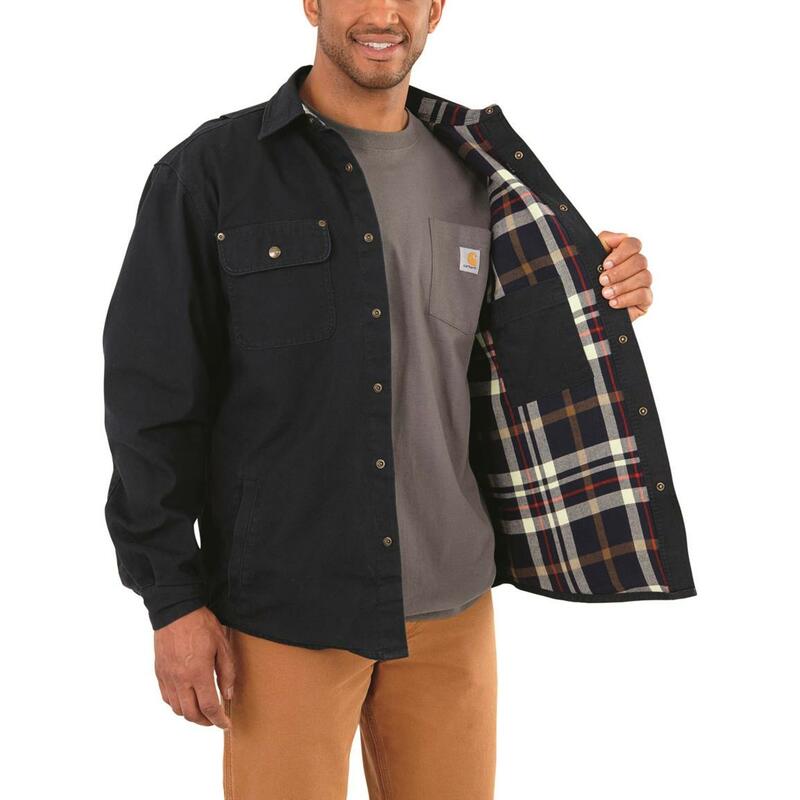 The carhartt jacket is exactly as pictured. I have an older one that I’ve worn for years, so it’s nice to know they didn’t change anything! True to size! Thank you! Rated 5 out of 5 by Jim P from Well made as expected from Carhartt. At 5'10" 185lbs, the large is slightly large on me, but leaves room for layering underneath. Other reviewers indicate that this is too large/heavy to be tucked in, which I agree, since it is not designed to be tucked in but rather to be worn untucked as a jacket. 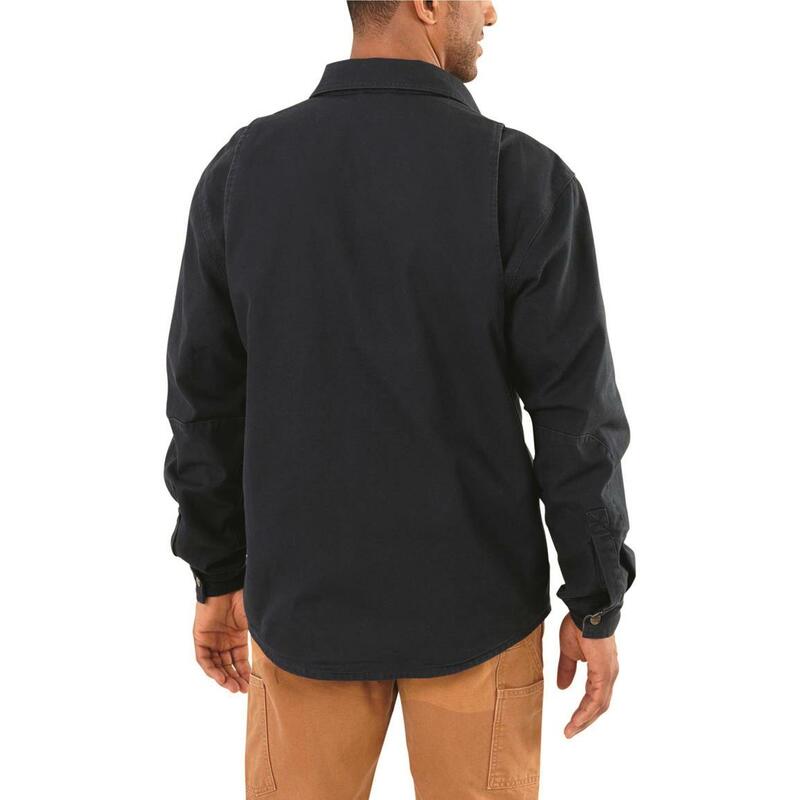 Rated 5 out of 5 by Samuel from Perfect fit The shirt jacket is a perfect fit, perfect price, and built sturdy design. Family and friends say the shirt jacket looks great. Rated 4 out of 5 by Taco from Nice and sturdy! Great Carhartt craftsmanship. Super thick and very comfortable. It is sized quite large. I normally wear an XL in shirt jackets and I had to get a M and even that is a little on the big side for me. I would definitely go at least one size up when ordering. 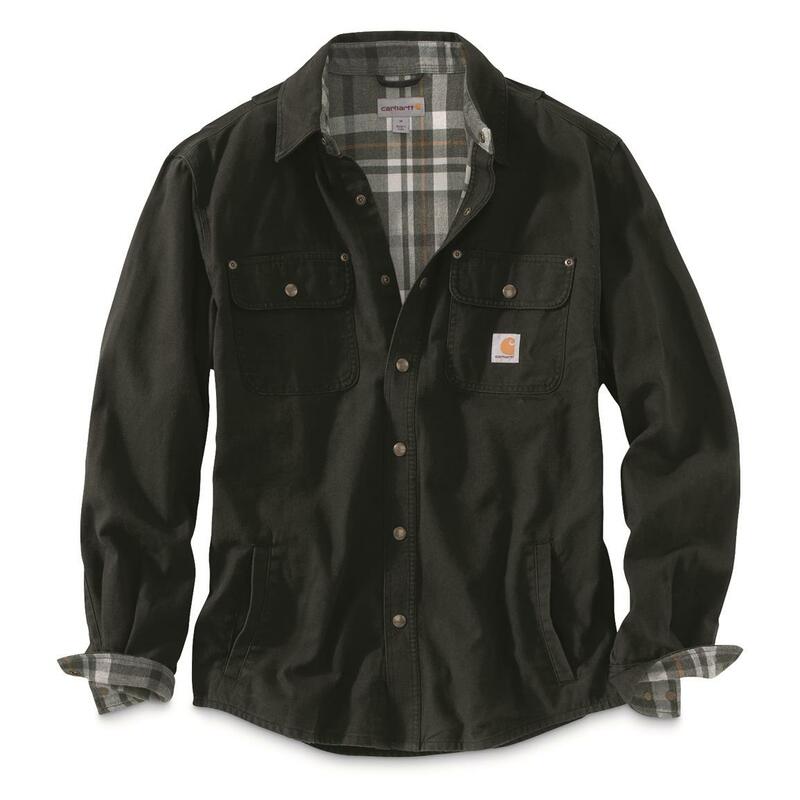 Rated 5 out of 5 by Graybeard from Carhartt Always of Quality and Value This coat is an addition to my winter work wear. 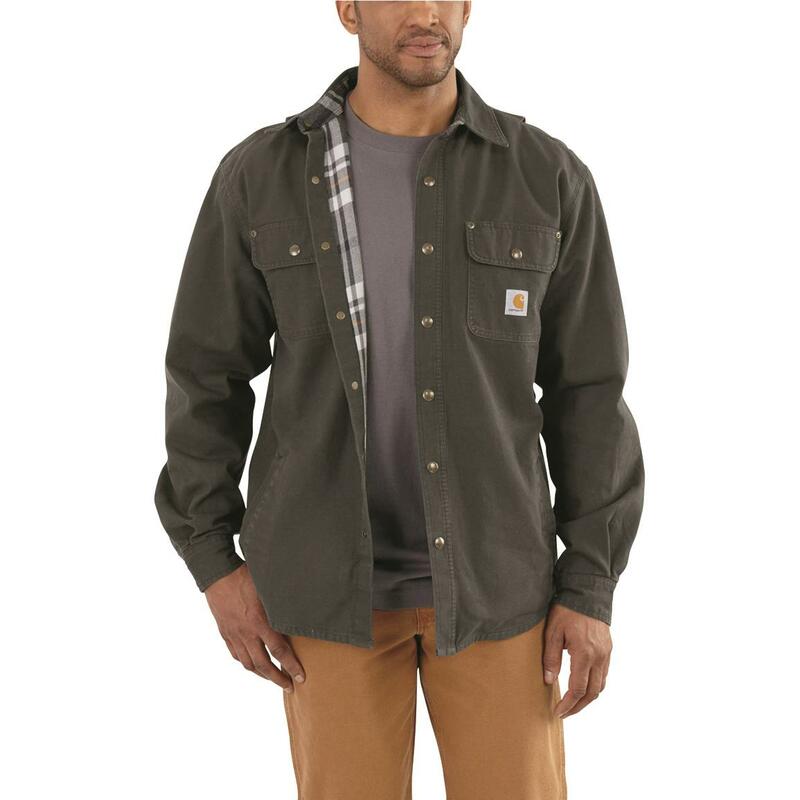 I have worn a previous Carhartt for many years and it still looks good after a lot of washings. The lining in the sleeves are getting worn and I thought it was time for a new one. You may pay a little more for the Carhartt brand, but the quality in material and stitching is in my opinion much better than a cheaper brand. The fit is also very comfortable.